EIU offers a variety of different admissions options: Find out which one is right for you! MyEIU will serve as your personal portal into EIU, allowing you to learn anything you could possibly want to know about our campus. Explore EIU from the comfort of your home. With 50 undergraduate degree programs that include over 150 major and minor options and 36 graduate programs of study -- including online learning opportunities -- there’s something here to prepare you for the career and life path you have in mind. Eastern Illinois University students have more than 600 scholarships available to them, and the database is continuously growing and updating. You can search all of them on our scholarship site. 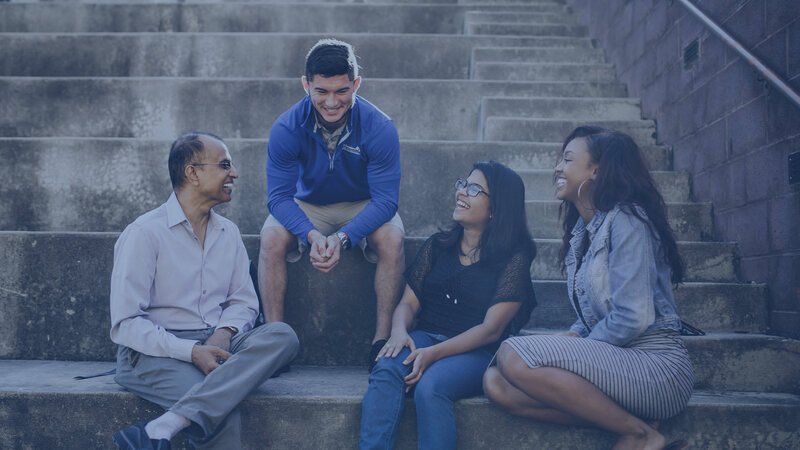 EIU has a rich tradition of preparing students to accomplish their life goals through a great combination of quality academics, personal relationships, and both on-campus and online opportunities. Get an overview of EIU by visiting EIU at a Glance. Lots of people call Eastern home, and we intend to make it feel that way! With a number of residence hall and dining options, there’s a perfect fit for everybody. EIU provides all students opportunities to enhance their educational experience through collaborative research opportunities with its talented faculty. In 2015 Eastern was one of just 29 public universities recognized by the Council on Undergraduate Research for exceptionally high participation in its annual national conference. EIU is proud to be recognized as an undergraduate research leader by this prestigious national organization. Want to get a feel for campus before you actually get here? No problem! Our virtual tour takes you all over our beautiful campus, showing you everything Eastern Illinois University has to offer. That way, when you do have the opportunity to visit you’ll know exactly where you want to go first! At Eastern Illinois University, we are proud to offer a full slate of NCAA Division I athletics opportunities. Our football program is consistently successful at the Football Championship Subdivision level and has produced a number of highly recognizable NFL names; that and the rest of our programs have made us a long-standing, vital member of the Ohio Valley Conference (or Summit League for a handful of sports). Charleston is once again ranked as the second-safest college town in America! Just another reason every day is a great day to be a Panther! Alison Stangel is just the second EIU student -- and the first undergrad -- to receive a prestigious Fulbright grant. The latest U.S. News & World Report college rankings are out, and EIU still rates higher than any other public regional university in Illinois. Let's do this ... together! Eastern Euphonics: EIU's only a cappella group!